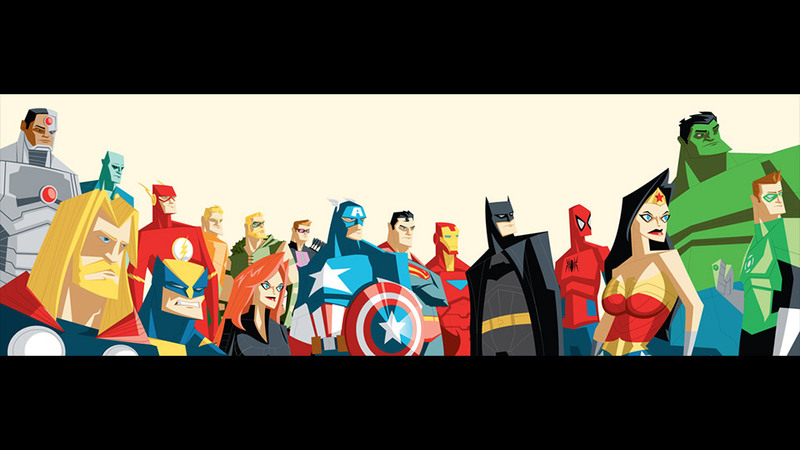 The Avengers and Justice League Assemble, Why? Artist and illustrator Adam Thompson created this interesting mash-up of The Avengers and the Justice League together. We’re not sure why they’ve decided to team up or what it is they’re all gazing at, but it looks promising.